Over the years The Brilliance has been labelled many things—a worship duo, a Christian band, even the creators of spiritual protest music. Yet in the Oh Dreamer suite—their first independent release since 2014, they prove the only thing that defines them is their passion for making music that inspires empathy. In the first of at least five suites, David Gungor and John Arndt tell the stories of the DACA Dreamers without the agenda of a label. And you can tell straight away this 25 minutes album was a labour of love as a nuanced and powerful rendition of “Welcome to the Darkness” opens the suite. As a song that discusses racism, intolerance and fear, it is terribly dark, but also stunningly beautiful. Using phrases like, “Objectify the human with anger, fear and shame. Damn them with religion, and never speak their name,” The Brilliance have the ability to call out truths they see in the world around them with humility and dignity. 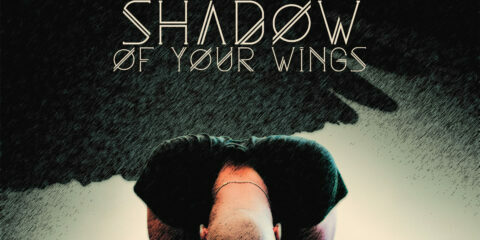 Showing their mastery of instrumentation, the piano and strings in this song are exquisite. With the lyrics, they push the listener out of their comfort zone, and it is clear the Oh Dreamer suite is not for the faint of heart. A short period of silence follows before the opening chords of “Stranger” begins, and this cultivates a sense of melancholy and reflection throughout the album. In some ways, the silence make the music more powerful and vice versa, because it causes you to really engage with each track moment by moment. “Stranger” takes a closer look at the life of DACA Dreamers, zoning in on the story of how they arrive and what they have fled from when seeking a home in the United States. By simply saying, “When the foreign ships arrive,” the duo exports you into the shoes of the other. And as the eerie and nuanced track evolves, you become the Dreamer. The fact it ends of the cry, “It wasn’t my fault, said the shot gun to the head,” fills you with the fear and hopelessness of the situation, showing that in order to create empathy, we must first have a clear understanding of those we know nothing about. Following this, the first composition on the album, “Valte’s Dream,” is like a deep breath after a long run. Played by John, it is the first classical take on the unique story of a Dreamer the band met, and the juxtaposition of the lightness and hope in the keys compared to the former track is remarkable. The Brilliance use the influence of The Beatles to the fullest on “Where Would You Be?”, and John’s sweet and soft voice in reminiscent of a melancholy “Hey Jude”. It is plain, simple and honest. By asking the listener “Where would you be without your dreams?” they manage to connect the story of the DACA Dreamers with the reality of the listener, creating a common humanity and compassion between us. “Ludwig’s Dream” follows this and the composition carries more shade than the former Dream played. Light and darkness is created through sensitivity to the strings and piano, and this makes it feel like a film score. DACA Dreamer Diana Gameros features on “Dreamer,” and combined with David’s evocative vocals, they create a spine-tingling song about resilience and strength. By delivering some lyrics in Spanish, the richness of Diana’s Mexican heritage shines through, and the addition of percussion in the acoustic track takes it to an ethereal place. “Don’t You Let Go,” is the second song reminiscent of The Beatles, and John hits it out of the park with this stark and mesmerising tune. By simply using his voice and piano, he communicates a deep sorrow and heartache as he sings; “I’m so tired of chasing ghosts today”. Yet strength and resilience builds through the track—much like in life, and by the time this song ends it becomes a cry for each of us who have let go of hope. The last Dream on the suite, “Lily’s Dream,” is the longest and most epic by far. While it is still created using keys and strings, its production immediately takes you to a romantic and courageous land. Not afraid to strip it back to the bare minimum, there is still an intense vulnerability to the score. Tying the album up with a more radio friendly version of “Dreamer,” electronic beats and synth get you moving to the song about welcoming the stranger. It reinforces the overall story of the suite, where The Brilliance holds the darkness and pain of the world, with the inimitable hope of humanity. It is impossible to hear this album without being moved and challenged to see the face of God in the stranger. Does love have an open door? Through this suite, The Brilliance may just have helped us open our doors a little wider. 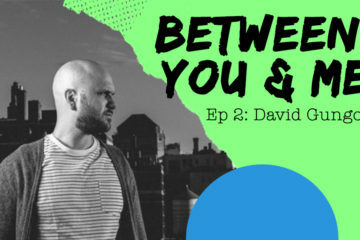 The Brilliance feature on episode 2 of the Between You & Me Podcast! Listen and subscribe by clicking here.